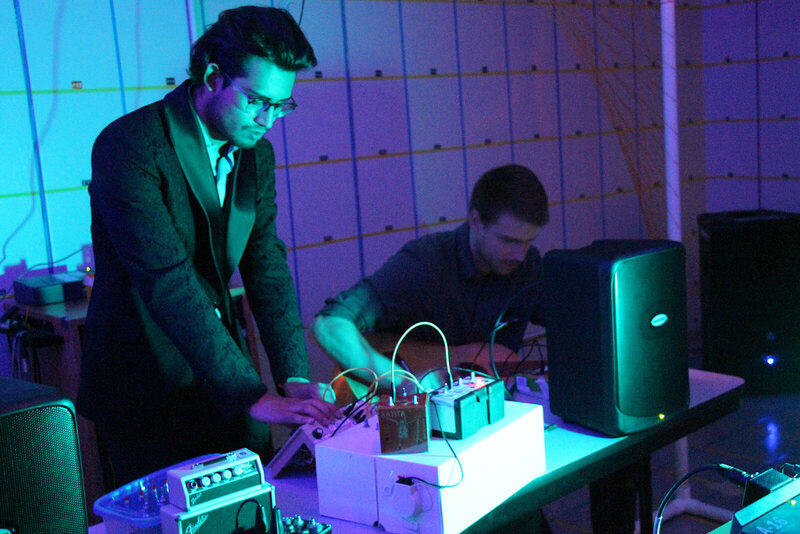 Columbia College Chicago’s Music Technology program focuses on the science of sound—how music technology can be designed, shaped, used, and manipulated for experimental live performances, video games, music compositions, sound installations, and other musical activities. In this program, you’ll do more than operate the tools; you’ll design, hack, manipulate, and reconfigure the next generation of music technology. Our Bachelor of Science program combines faculty expertise with coursework in music composition, programming, and audio technology. 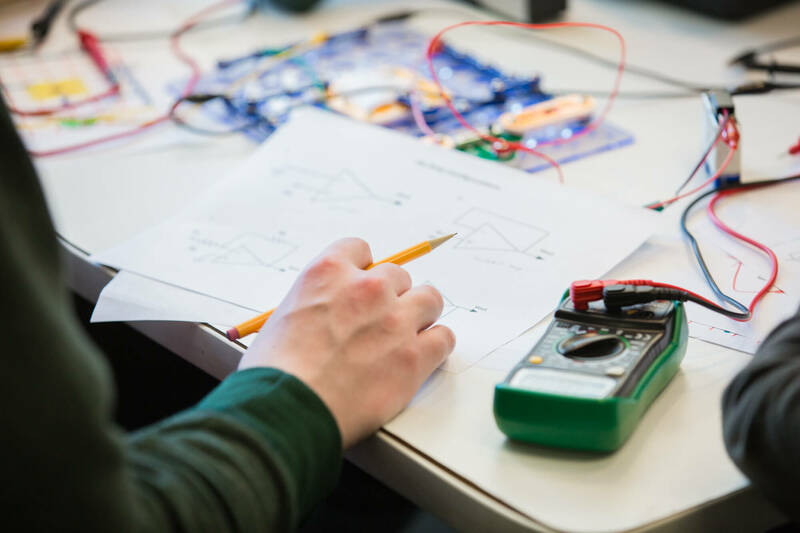 After taking introductory courses in science, mathematics, sound technology, and acoustics, you’ll choose one of five concentrations: Interactive Music Design, Electroacoustic Composition, Perception and Timbre, Programming Audio, and Physical Design. Music Technology graduates can pursue careers as multimedia artists, sound artists, music software and hardware designers, programmers, and user experience (UX) designers. The program also prepares students for graduate study in music technology, human-computer interaction, and computer science. A Bachelor of Science (BS) requires more substantial STEM (science, technology, engineering, and mathematics) coursework than a traditional Bachelor of Arts (BA) does. Our Bachelor of Science in Music Technology has STEM requirements built into the curriculum so that students master the scientific concepts behind the music technology they design and create. 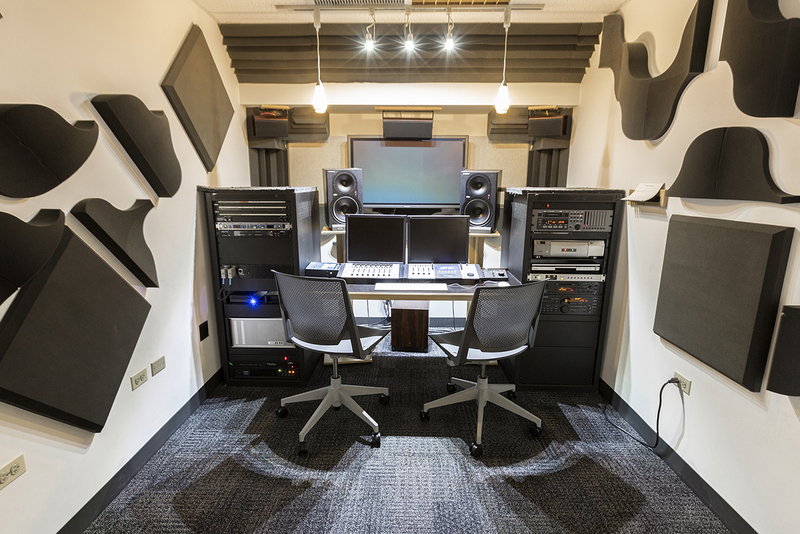 The Audio Arts and Acoustics Department offers several BA programs for students interested in learning music technology at a practitioner level. To earn a bachelor’s degree in Music Technology, you’ll complete a series of foundational courses and then specialize in one of the five concentrations listed below. You’ll design technology like custom digital devices for generating electronic sound. You’ll also create music and audio for video games, virtual realities, and other interactive environments. You’ll use technology to create new sound worlds and to push the boundaries of sound and music design, exploring and developing compositional practices in fixed media composition, interactive computer music, composition and performance, sound installations, and sound art. You’ll focus on the theory and research of sound. You’ll study the complex idea of timbre—why does the same pitch on a piano sound different on a trumpet?—and the ways our ears and brains perceive sound. You’ll program your own sounds and sound effects from scratch. You’ll build your own software tools and digital audio plugins in advanced environments such as Max/MSP, SuperCollider, Pure Data (Pd), Python, and CSound. You’ll express your musical ideas through code and engage in exciting new art forms such as live coding and laptop orchestras. You’ll design hardware and develop software for music performance systems and tools, such as guitar pedals, professional DJ equipment, and new interfaces for musical expression. The Music Technology major begins by building your background knowledge. You’ll sharpen your knowledge of sound in courses like Sound for Interaction, Studies in Hearing, and Fundamentals of Audio Production, and take courses in science and mathematics. All Music Technology students in their junior and senior years take The Sonic Experience, a four-semester course that bridges music, sound-art, and computer applications. In this course, you’ll explore electroacoustic music production and build a portfolio of professional-level music technology projects. We have a number of creative spaces equipped with industry-standard software and technology. 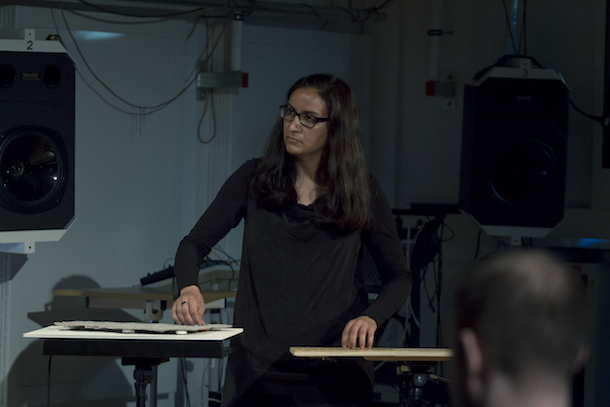 Faculty members who teach Music Technology courses come from a variety of disciplinary backgrounds, including music, physics, engineering, sound art, cinema, and fine art. View all department faculty. Goudarzi teaches Columbia students how to make audio interfaces and interactive electronic instruments.